An average of one in ten people need an MRI each year and if you are one of them, chances are that you’re a tad nervous. 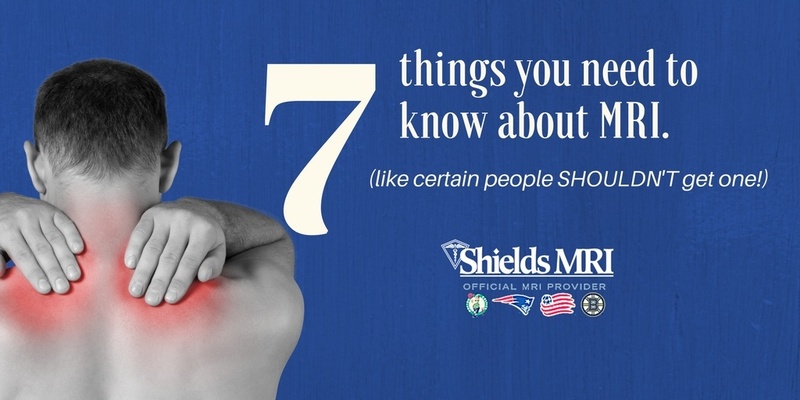 Hopefully knowing these 7 things about MRIs beforehand will help you have an easier and pleasant experience. 1. There is no radiation in an MRI. Many people assume that MRI exposes them to radiation, but it does not. MRI doesn’t expose patients to radioactive materials, X-ray, or any form of ionizing radiation. MRI produces no harmful side effects. 2. Some people should not undergo an MRI. Although an MRI is completely safe and painless, there are some conditions that some people should not undergo an MRI, or will need to make special arrangements. Any of the following conditions may interfere with your MRI. 3. The MRI machine is LOUD. MRI machines are known for being noisy. This is because of the force of its strong electromagnetic field on a coiled wire. The force on the coil causes it to expand slightly when in use, which makes a loud “thump.” When the MRI is creating an image, there is a rapid-fire clicking noise because the electric current is being switched on and off rapidly. As the MRI scanner calibrates to obtain each series of images, you will hear persistent buzzing and thumping noises, but at no time will you experience any physical discomfort. You may wear earplugs or listen to music during your exam if you wish. To hear what an MRI machine sounds like, click here. 4. You must lay very still. If you don’t, there is risk that the MRI scan may have to be redone. While the images are being recorded, it’s very important to lie still and follow the technologist’s simple instructions. The images obtained from your MRI are very sensitive to motion. Even the slightest movement can distort the image and limit its diagnostic value. At Shields facilities, you’ll recline comfortably on a cushioned table and you will be in constant communication with your technologist throughout the entire exam. Most MRI exams last 20 to 40 minutes, although compound studies last up to an hour. 5. There are different sized MRI machines – and if you are claustrophobic or weigh up to 500lbs, there is an option for you! An open-bore MRI machine is open on both ends and enclosed by a tube-like bore; it offers a wide opening of approximately two feet. A conventional MRI is also open on both ends but has a smaller opening. Many patients who fear small spaces look for an open option because they feel less enclosed.An open-bore option is available in a high-field, 1.5T strength, which is the gold standard in imaging today and allows patients to achieve a comfortable MRI experience without compromising image quality. A “true-open” MRI is open on three sides. Shields does not offer these machines because they are not available in high-field, 1.5T strength, and therefore, image quality is lower. Shields recommends high-field, 1.5T open-bore MRIs for patients who have anxiety about tight spaces. These advanced MRI systems are available at 18 of our locations. Find a Shields facility offering open-bore MRIs. Claustrophobia is a serious condition that may prevent patients from having a medically necessary MRI scan. At Shields, our staff and our equipment help patients minimize their anxiety and complete their scans successfully. If you are prone to claustrophobia or panic attacks, or are in any way concerned about how you could react during the scanning procedure, talk to your doctor about medication options and choosing the least confining MRI option for your scan, such as one of Shields’ high-field, open-bore MRI machines. 6. Price varies based on scan type, facility & insurance. There are several factors that weigh into the price of an MRI scan – what type of MRI scan you are getting, where you are getting that scan, and your insurance coverage for an MRI. At Shields, MRI exams typically cost much less than they do at other facilities, particularly hospitals. Shields’ price calculator can help you get the out-of-pocket costs specific to your insurance plan within seconds. Click here to visit the price calculator and estimate your price. There are some questions you should ask all providers as you look around for an MRI, and Shields has created a comparison chart for you. 7. You must have a referral from a physician to undergo an MRI scan. An MRI is not appropriate for every condition or injury. Only your doctor can determine if an MRI is the right diagnostic tool for you, so talk to him or her directly. If your doctor recommends an MRI, you can request to have the exam done at a Shields MRI location, where you’ll find lower prices, advanced technology, and a caring, knowledgeable team. Your doctor will also need to receive authorization from your insurance plan on your behalf, prior to your appointment. Ask for a referral to Shields MRI.